KANSAS CITY, Kan. December 5 2018 — Two people are dead after a suspect shot a man and a woman and then shot himself in an incident that ended outside the main entrance of the University of Kansas Hospital, police said. The incident started around 11:30 p.m. Monday as a shooting at 7th Street Trafficway and Osage Avenue. A Kansas City, Kansas police spokesperson said investigators think a man shot another man and woman near that intersection. 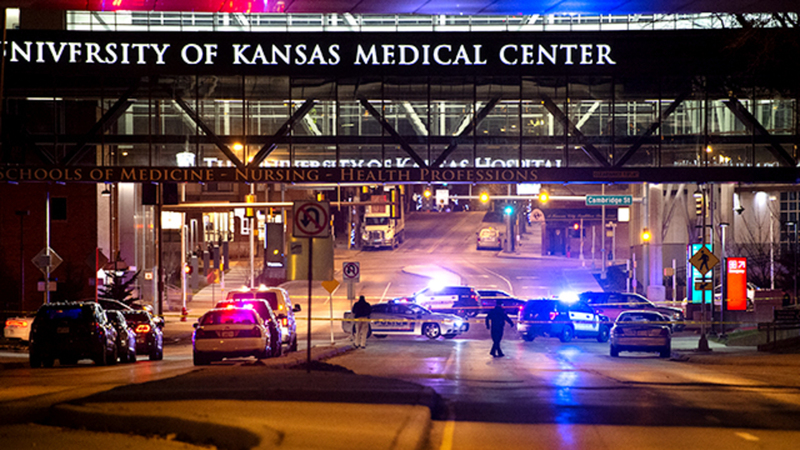 The victims then drove themselves the two miles to KU Hospital. “I know that car has, at least on one side of it, the victim’s car has some glass shattered out of it. So we believe that obviously, the shooting started down there and they tried to flee up here,” KCK Ofc. Tom Tomasic said. Once outside the hospital, the male victim ran toward the entrance. The shooter followed him and shot him outside the doors. Police said the shooter then shot and killed himself. The male victim died later Tuesday morning, KCK Police Chief Terry Zeigler said. He has been identified as 28-year-old Dominic Garcia, of Kansas City, Kansas. The female victim was in stable condition. According to several employees, the hospital first alerted them to an active shooter event around midnight. The mass text message instructed employees to “run, hide, and fight” and to avoid the main entrance to the hospital. At 12:22 a.m. Tuesday, the hospital sent a followup text, saying the situation had been contained but to continue to avoid the main entrance. Zeigler confirmed via a tweet that police were working what they called a homicide outside the main entrance. 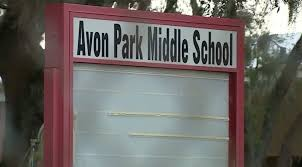 Tomasic said police were not looking for any suspects connected to the incident. The hospital will open as normal Tuesday.